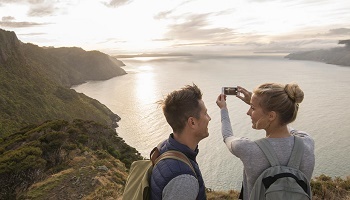 New Zealand’s awesome landscapes, lush forests, amazing wildlife and pleasant climate make it a haven for many outdoor activities, and a great place to unwind. New Zealand society is diverse, sophisticated, and multicultural, and the honesty, friendliness, and openness of Kiwis will impress you. And the great advantage of New Zealand is that all of its diverse physical, cultural, and artistic landscapes are so close to each other! 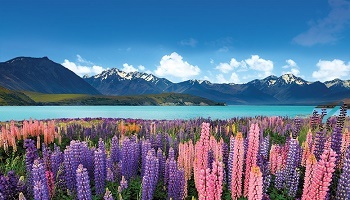 The North Island of New Zealand has a 'spine' of mountain ranges running through the middle, with gentle rolling farmland on both sides. The central North Islands is dominated by the Volcanic Plateau, an active volcanic and thermal area. The massive Southern Alps from the backbone of the South Island. To the east of the Southern Alps is the rolling farmland of Otago and Southland, and the vast, flat Canterbury Plains. You have questions, we have answers. What is the Weather & Climate like in New Zealand? Do I need to have a Passport and Visa to enter New Zealand? 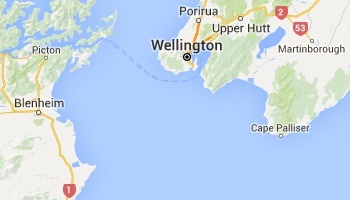 What is the time difference between New Zealand and the U.S.? What currency is used in New Zealand? What electric voltage does New Zealand use? Don't see your questions, ask an Aspire expert.